A gathering of roughly 1000 citizens at the point where the 44-year-old Greek man was stabbed, at dawn last Tuesday, turned into riots with anarchists and acts of racism. 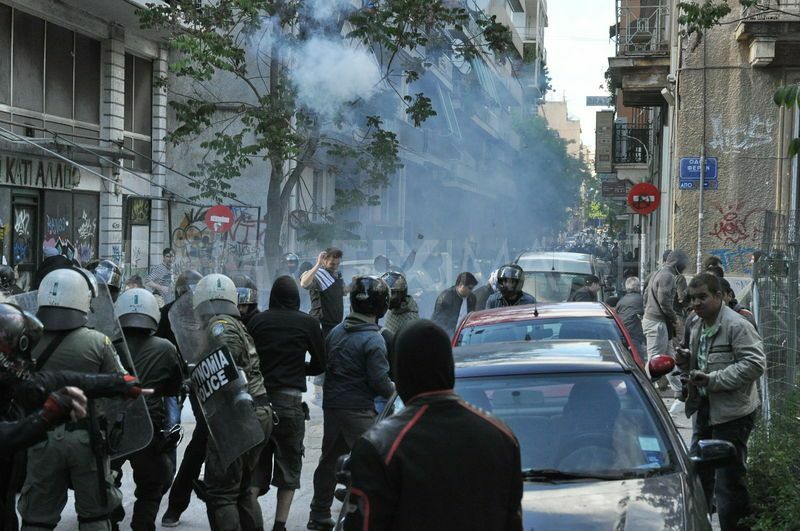 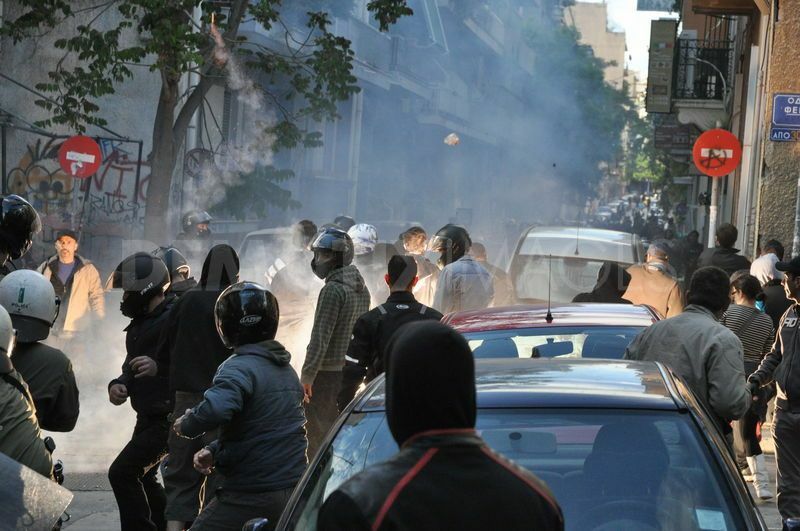 Riots between the protesters and anarchists in Villa Amalias squat. 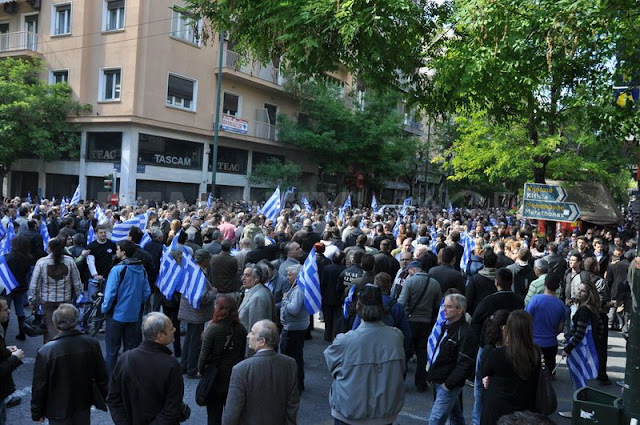 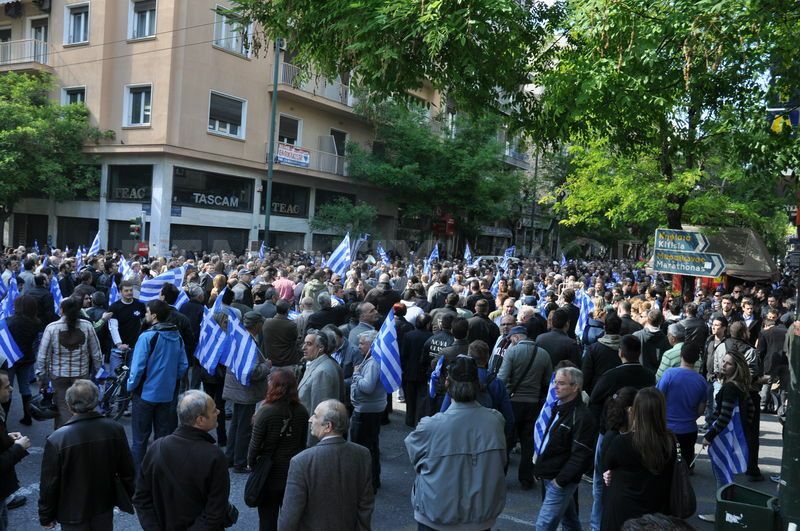 Massive crowds protest in Athens after 44-year-old man was stabbed. 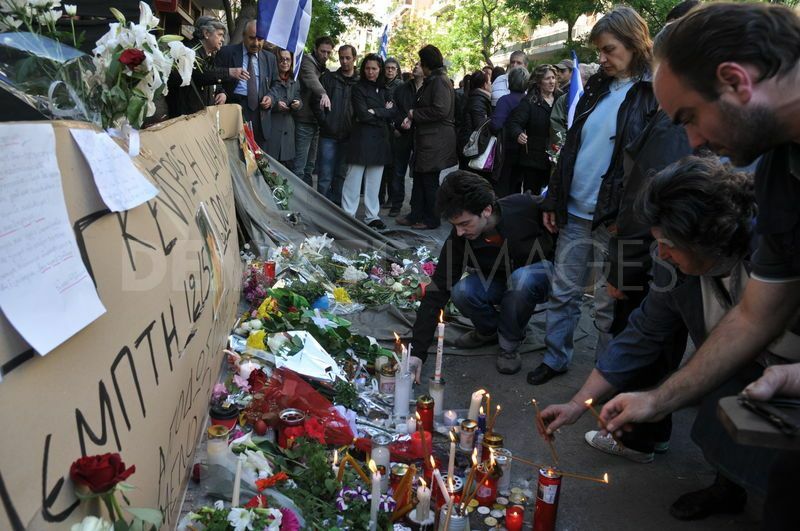 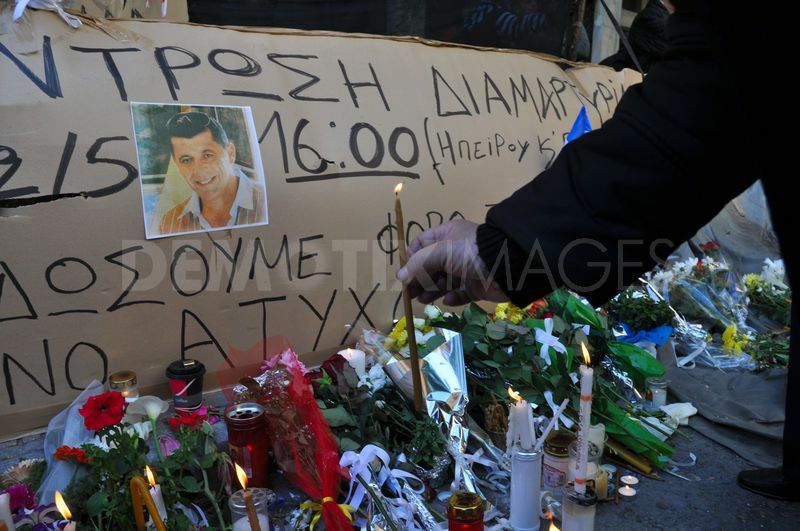 Flowers sit near a memorial for the 44-year-old man stabbed in Greek protests in Athens. 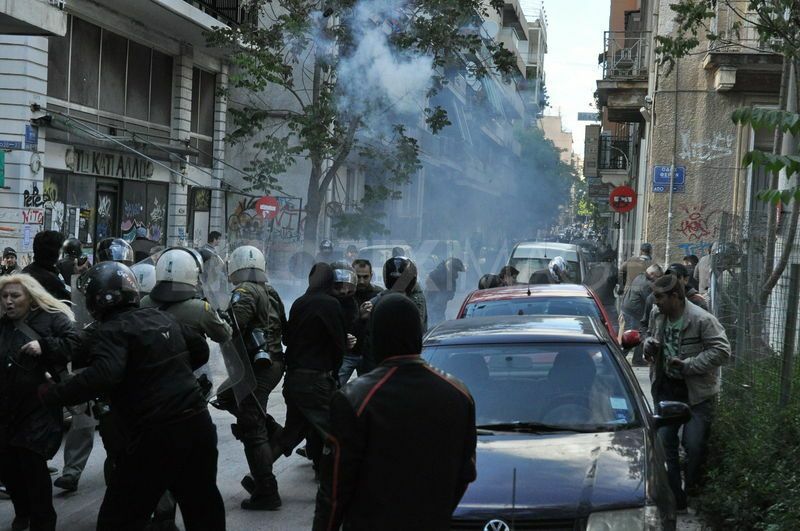 During the protest march in Athens center, protesters attacked immigrants who were on their way. 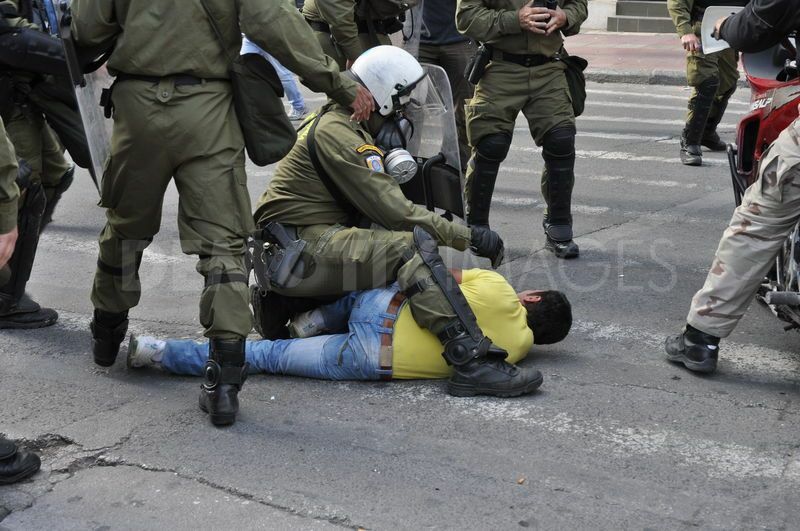 Police tried to stop them and did not arrest anyone although they saw it all happen. 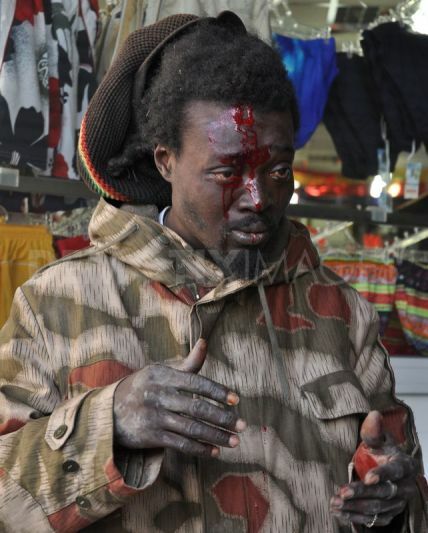 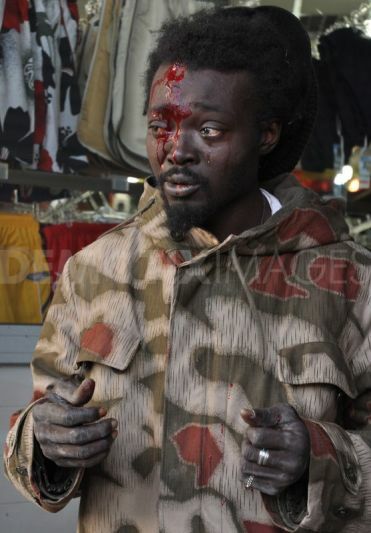 Immigrant wounded from the protesters. 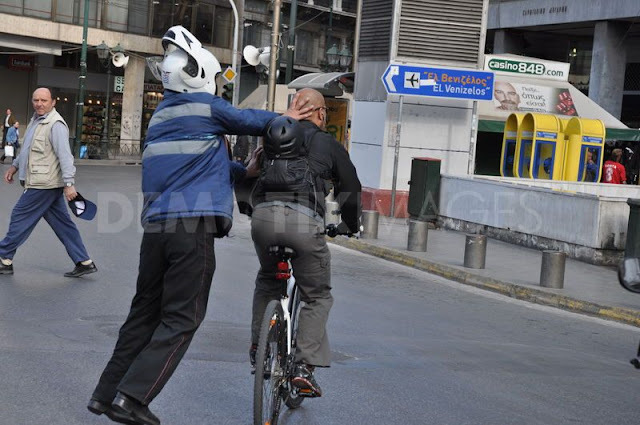 A protester beats a cyclist because he has dark skin and looks like an immigrant or foreigner. 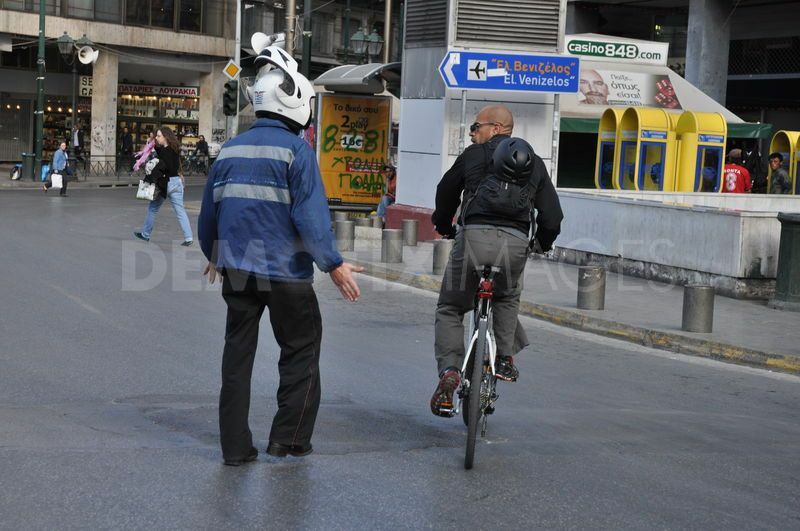 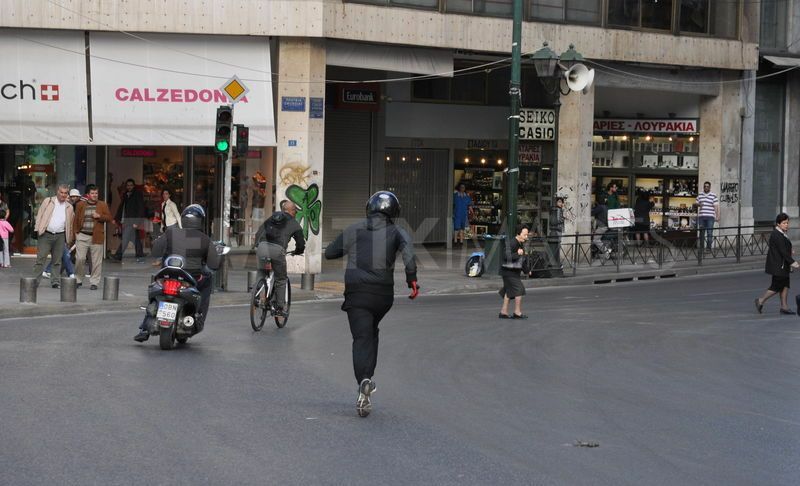 Protester on a motor bike and another on foot go after a cyclist to beat him, because he has dark skin and looks like an immigrant or foreigner. 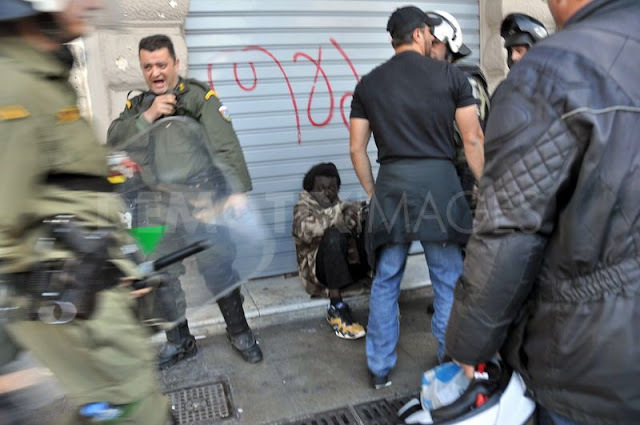 Riot Police come to help an immigrant who was attacked from protesters, but do not arrest the attackers. The far-right protesters march in Athens center together with police. 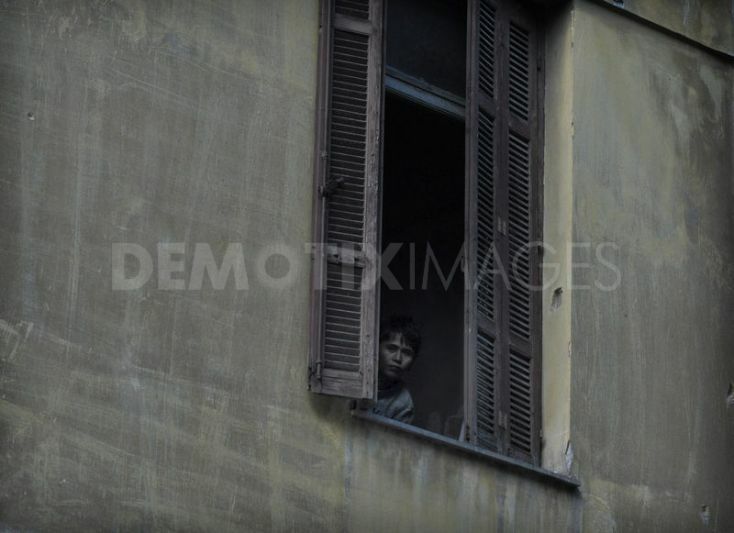 A migrant boy looks scared while watching protesters outside the window. 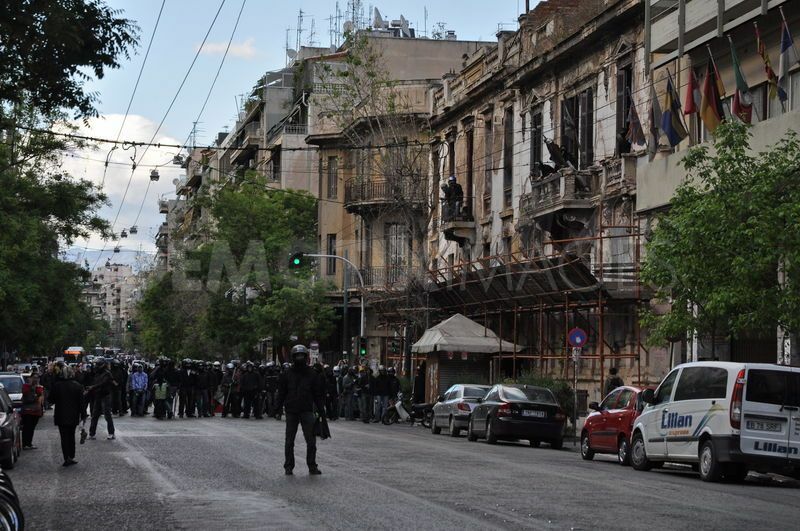 Anarchists from the Villa Amalias squat ready to fight with the far-right protesters. 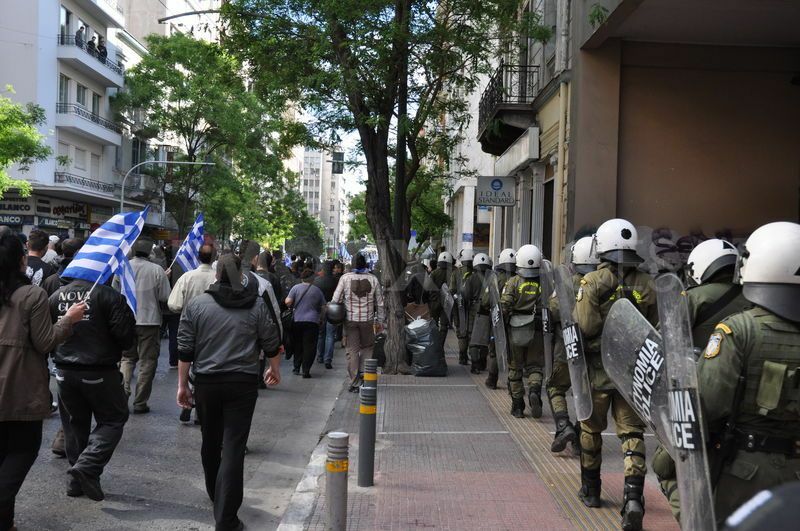 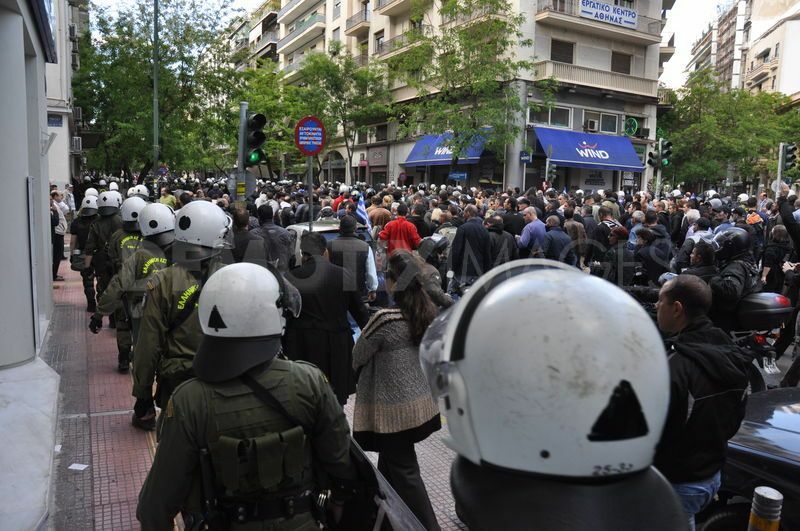 A gathering of around 1000 citizens at the point where the 44 year old Greek man was stabbed at dawn last Tuesday, turned into riots with anarchists from Villa Amalias squat and into racist action in the center of the Greek capital. 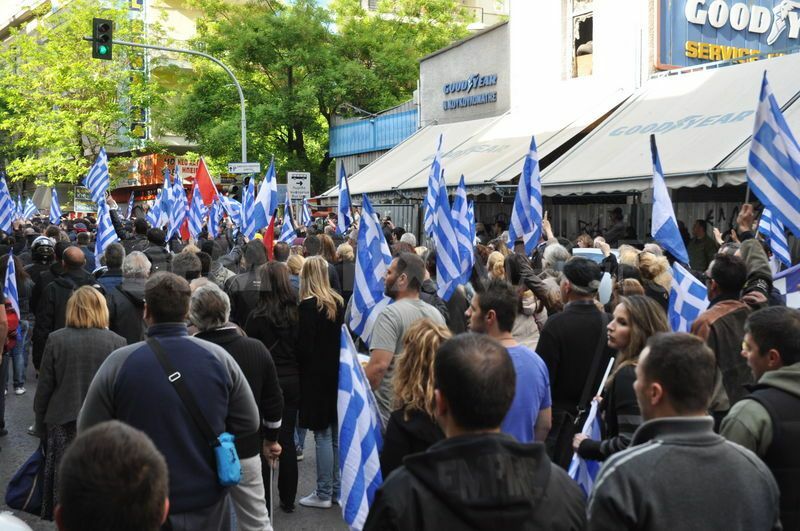 Participants were holding Greek flags, were shouting slogans against migrants, communists and anarchists, and were singing the national anthem of Greece. 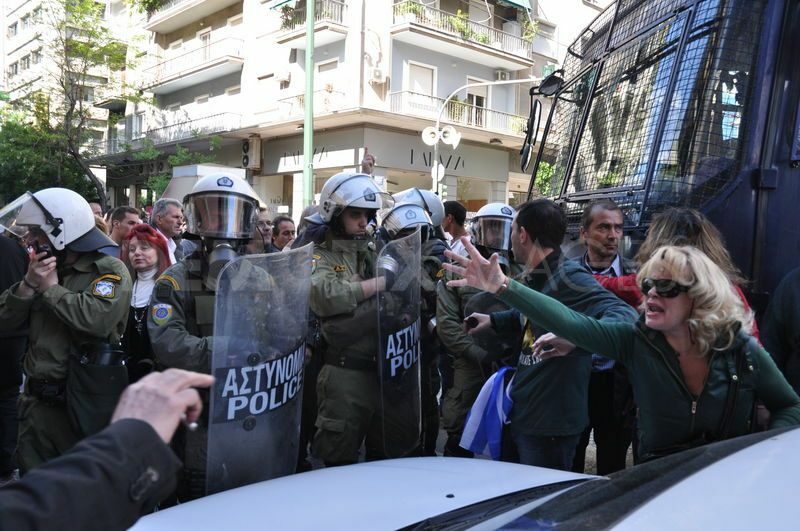 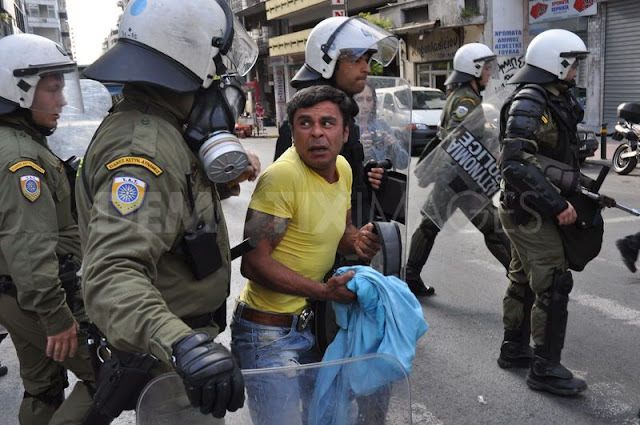 During the protest march in Athens center, they attacked immigrants who were on their way. After the incidents, a number of migrants were transferred to the Hospital.